Having been founded by Adenovirus specialists, The Native Antigen Company offers in-depth expertise both in catalogue reagents and customised Adenovirus preparations. 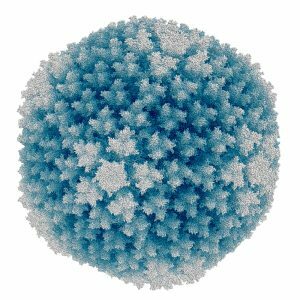 We supply purified Adenovirus antigens, alongside monoclonal antibodies to Adenovirus hexon protein. On request we can also undertake custom preparation of Adenoviruses from a number of viral strains, including constructs expressing GFP, LUC and other recombinant proteins. Human Adenoviruses (HAdV) are non-enveloped, non-segmented, double stranded DNA viruses, belonging to the genus Mastadenovirus within the Adenoviridae family. Human Adenoviruses have been further classified into seven species groups, A- G. Since the discovery of Adenovirus in human adenoid tissue in 1953, more than 50 human serotypes and 70 genotypes have been identified (Cook, J). Human Adenoviruses are globally widespread and ubiquitous in the environment. HAdV can persist in the environment and is resistant to most household disinfectants. Transmission of HAdV occurs primarily via the faecal-oral route, with contaminated water and food being a major source of infection. HAdV may also be spread through contact with contaminated surfaces and through aerosol droplets from an infected individual. Human Adenoviruses most commonly cause respiratory disease, but some serotypes can cause gastrointestinal disease, conjunctivitis and cystitis. The clinical disease caused by HAdV infection varies depending on the HAdV type. In immunocompromised patients, HAdV infection can cause severe clinical symptoms that may lead to respiratory failure, neurological disease and death. 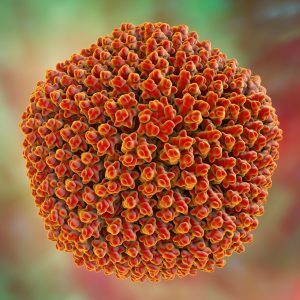 Currently there is no specific treatment for HAdV infection, which is mild and self-limiting in most cases, and licensed vaccines are not available for prophylactic treatment of the general public (CDC). Our range of adenovirus antigens includes a highly purified preparation of Ad40 particles, alongside purified hexon protein from both Ad5 and Ad40. The adenovirus hexon protein is a major component of the adenovirus capsid, which readily forms trimers and then further self-assembles into capsomeres of 240 hexons. 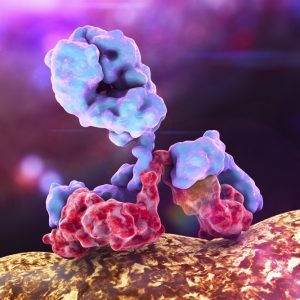 We offer a pair of monoclonal antibodies that are specific to the hexon protein adenovirus antigen. Hexon protein is the largest and most abundant structural protein in the adenovirus capsid. 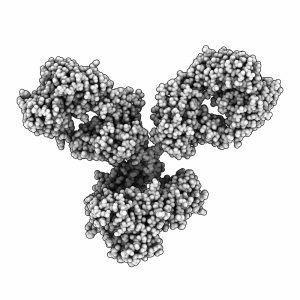 These antibodies are suitable for use in ELISA and as pairs in immunoassay development. Both antibodies recognise hexon protein from all strains of adenovirus that have been tested, including strains 2, 3, 4, 5, 15, 31, 40 and 41.